An Iraqi politician has accused Turkey and a number of neighbouring countries of attempting to suspend the operations to liberate the northern Iraqi city of Mosul. Distinguished Iraqi statesman and active civil rights campaigner Mowaffak Baqer al-Rubaie has, in an interview with Iraqi al-Etejah news channel, stressed that efforts are underway by Turkey as well as a number of the neighbouring countries to stop operations to liberate Mosul from the ISIS terrorist group. These efforts are based on tendentious rumour spreading, causing political tumult in the country and creating conflict among Iraqi political groups, he noted, according to Farsi report by Irdiplomacy.ir. Rubaie, who used to be the Iraqi government’s national security advisor and the head of the country’s State of Law Coalition, said the Iraqi forces’ decisive victory in the liberation operations in the eastern Mosul has shocked these malevolent forces and, thus, led to a reduction in their activities. Nevertheless, he added, these activities have not stopped. He stressed that Turkey and a number of Arab states are afraid of Iraq’s increased power and, thus, resumption of its natural role in the region, lest the country’s democracy prove successful. 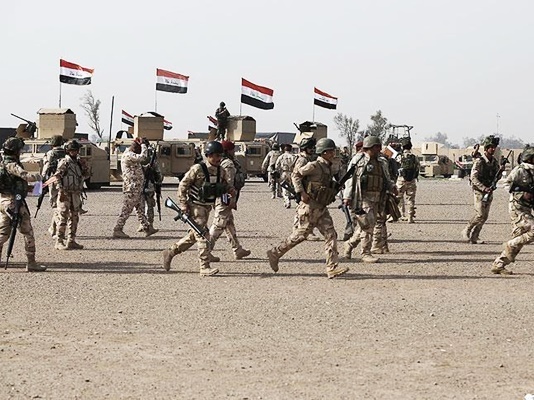 The Iraqi forces’ victories worry these countries, as they restore the Iraqi nation’s trust in the country’s army, he noted, adding, this would leave no room for them to meddle in Iraq’s domestic affairs.